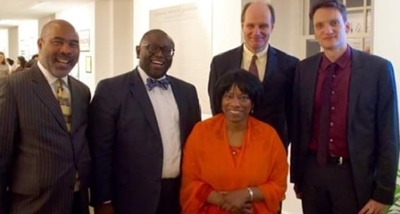 John Witte, Jr. gave a lecture at Yale Divinity School on the legacy of James W. C. Pennington, a former slave who was the first African-American to study at Yale. He was refused formal enrollment and barred from speaking in class or borrowing books. Witte, who in June received the Pennington Award from the Heidelberg Center for American Studies and the Department of Theology at the University of Heidelberg, said Pennington viewed slavery as a form of spiritual tyranny protected by his own government. Pennington acted as a fulcrum between Martin Luther and Martin Luther King, Jr., anticipating the civil rights movement led in part by the Protestant black church, Witte said. Witte’s lecture may be viewed here. Religious freedom, Christianity, John Witte, Jr.